ex·cel·lence : the quality of being outstanding or extremely good. For the second year in a row Deonna McGary and her team have sought out to recognize Black leaders, professionals, and servants of the community . The annual event known as Black Excellence Night provides a space to not only network but learn from those who are making a consistent impact to those around them. I had the pleasure of attending as a guest this year and can say that from start to finish, McGary delivered on her promises of excellence for all. 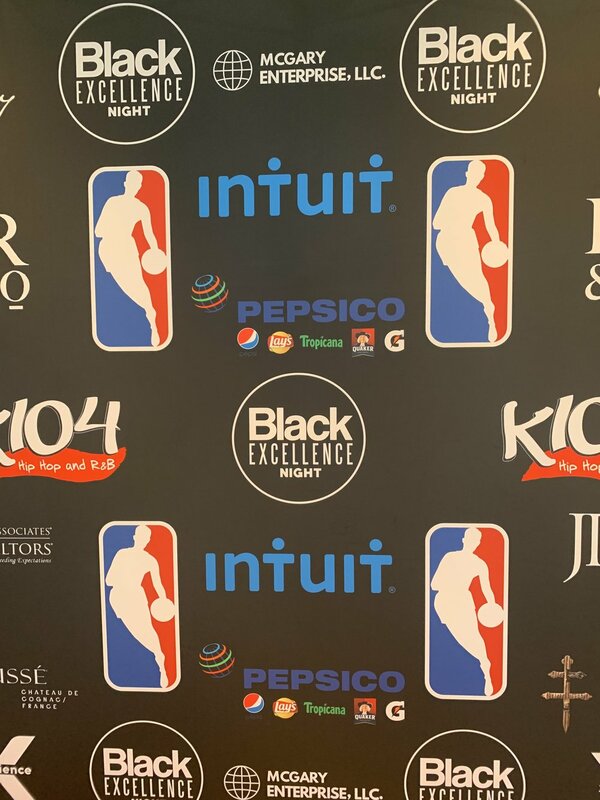 Upon arrival to the American Airlines center, attendees are led to a private suite to interact with Black businesses and brands that are available for a private shopping experience prior to hearing from an all-star panel. The 2019 speakers included Lauryn Williams (Olympic Medalist), U. Rene Hall (City of Dallas Police Chief). Dr. Michael J. Sorrell (President, Paul Quinn College), George Cook (Branding Director, K104/105.7 FM), Tommie Harris (Former NFL Player turned Philanthropist and Motivational Speaker), and Ticki Varnado (Senior Partner, HR&Co). We also got to hear from Dallas Mavericks CEO Cynthia Marshall. If you are unfamiliar with Marshall, she was named the new officer in charge last fall after allegations made against the company and Mark Cuban. Since her inception, she has made major strides in making inclusivity a priority. They are committed to doubling their spend with vendors that are owned by women and owned by minorities. Being excellent isn’t just about being excellent for Black people, it’s about being excellent, period. Attention is the newest currency. The only way to be excellent is to do it with intention and integrity to make an impact. Focus on the opportunities, not the obstacles. McGary and her team also handed out several awards to various organizations and individuals that are going above and beyond to embody excellence through servitude. Attendees were then taken downstairs where we were able to enjoy the Dallas Mavericks vs Houston Rocket Game and eventually take shots on the court ourselves. (yes I missed but my velvet suit was still a win).